Although my friend's murder has taken a great toll on me emotionally, I realized after the initial shock that this was something that would have to be discussed with my two children, ages 5 and 8, who were next to me when I got the horrifying call. They saw my immediate reaction, which was uncontrollable sobbing to the point that I couldn't speak. In fact, I had to just pass the phone on to my husband so my friend could tell him what happened to Chris. Meanwhile, while I was in the bathroom, my parents, whom we were visiting, were asking what was going on and my husband told them. Now, I am sure he was pretty shocked, too, and said this in front of the girls. I am not sure that I would have told them the details of how Chris died, since they are so young. It scared them to see their mother in so much agony and I am thankful that my husband was there to console them until I could get my act together. And when I did, I began the first of many conversations about the situation. That night, my 8year old daughter told me she feared it would happen to me. This nearly ripped my heart out as I realized that if I ever return to the working world in my field, the stakes would be much, much higher than before I had children. I am thankful I had talked to my girls in the past about child abuse. I am thankful that I have talked to them in the past about mental illness. This gave them some understanding of how something like this could have happened. But this event has taught my children so much. They have learned that good can come out of evil. I have talked to them about how Chris' death will make some people more motivated to live like him and help others more. Even through my blogging about this, I have had a couple people reach out to me who have had family members suffer from mental illness. Without Chris' death, that wouldn't have happened. I have also had friends tell me that my strength and Christian perspective about this has touched them and that I am a role model to them. I have talked to the girls about all the good things Chris did, and how many lives he touched and made better. We talked about how hurt this boy was as a child and how that, combined with mental illness led to such a tragic event. We have talked about how sometimes we don't know what is going on in a person's life and how we should always respect others and be kind to them. We have talked about God's love and heaven. They have asked if the boy will go to heaven and I could reassure them that he could. I reiterated the story of the murderer on the cross next to Jesus. This gave my girls hope. They have learned about grief. They have learned that people can be horribly sad and yet still go on and live and laugh again in time. Above all else, in seeing me forgive the murderer of my friend, my girls have seen that forgiveness leads to healing. 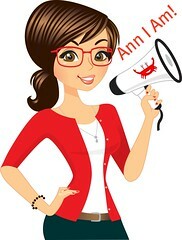 My dear sweet Ann ... I am so proud to know you, to know the depths of your compassion ... for your friends, your loved ones, your God, and your compassion for the broken ones.